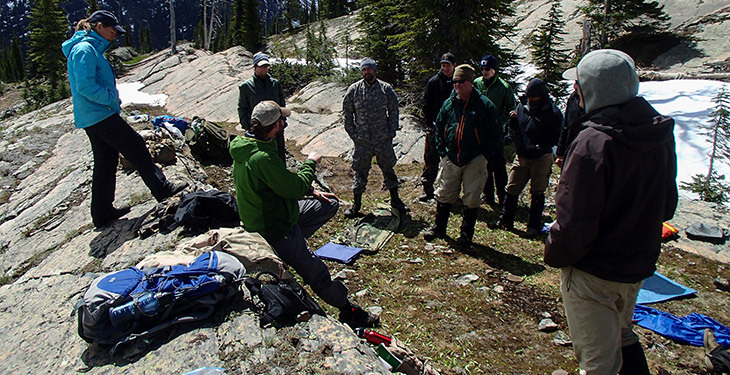 Receive the most comprehensive education in wilderness and emergency medical skills available anywhere. 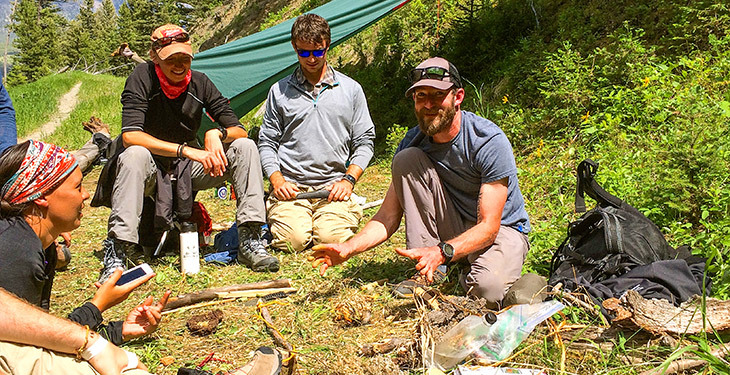 The summer semester program provides students with the unique opportunity to study wilderness medicine, rescue skills and outdoor leadership in the mountains of Western Montana. The semester begins with 4+ weeks of intensive EMT training at the University of Montana in Missoula. Taught by top professionals in their fields, this course combines lectures on medical topics and significant hands-on learning with the tools of emergency medicine. Students will be given the opportunity to test for NREMT certification and given the tools to apply for state licensure. The EMT section culminates with clinical rotations in the emergency room and on Advanced Life Support ambulances in Missoula. Next, students will spend several weeks backpacking in the Bob Marshall Wilderness, one of the largest and most stunning wilderness areas in the lower 48 states. Each year, there is the opportunity to see some of the rarely visited areas of this amazing place. The trip will include training in Leave No Trace, outdoor leadership and land navigation. After a re-supply by mule train, students will study high angle rope rescue in the alpine of the Swan Crest. The program then transitions back to the Swan Valley, where students study Search and Rescue tactics, execute large scale search and wilderness medical scenarios and are asked to put their knowledge to the test in a variety of exercises. The semester ends with a five day swiftwater rescue class taught by the Whitewater Rescue Institute in Alberton, Montana where students spend the week taking in the Montana summer from the Clark Fork River. June 18 – July 2: EMT section at the University of Montana. Students will be housed in dorms during this section. 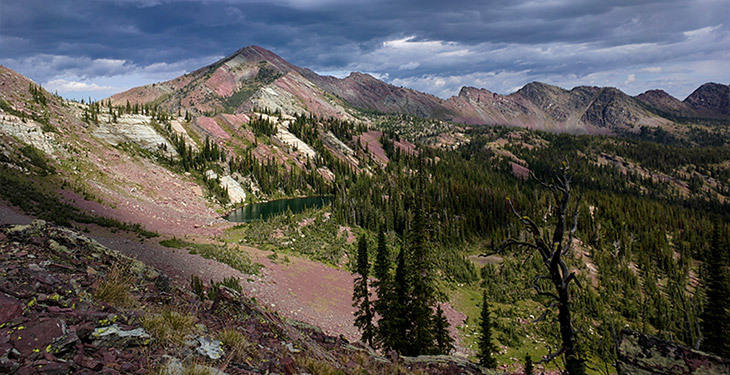 July 3 – July 6: Backpacking in the Bob Marshall Wilderness. Leave No Trace trainer certifications and Outdoor Leadership topics. July 7 – July 12: EMT Section at the Swan Valley Connections facility in Condon. July 13 – July 20: Clinical week. Students will stay in Missoula and attend emergency room and ambulance clinical rotations. July 21 – July 22: Red Card certification class. 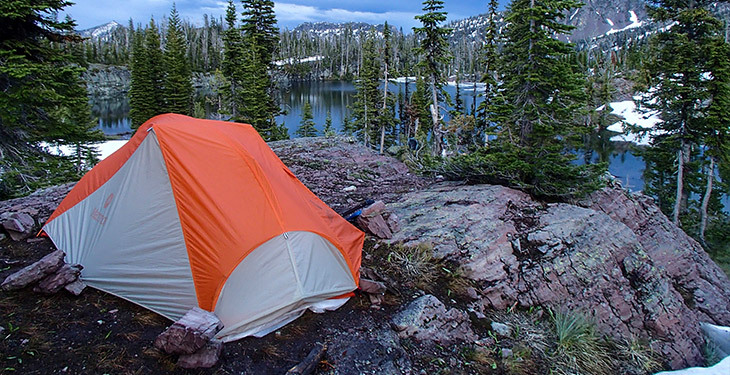 July 23 – July 31: Backpacking in the Bob Marshall Wilderness. Land Navigation and Outdoor Leadership topics. August 1 – August 6: High Angle Rescue certification. Course is held in the Bob Marshall Wilderness. 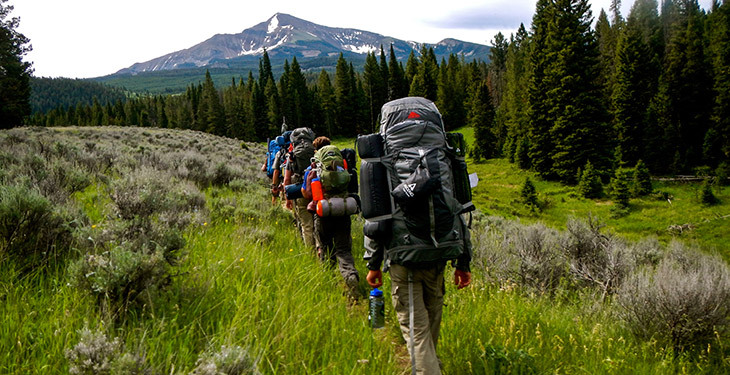 August 7 – August 11: Students will return to the Swan Valley Connections facility after the backpacking section and do Search and Rescue training and final scenarios. 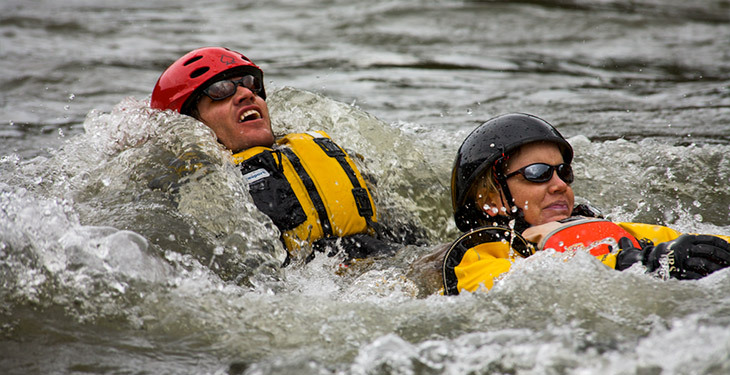 August 12 – August 16: Whitewater Rescue certification put on by Whitewater Rescue Institute at their Montana facility in Alberton, Montana. August 17: Graduation, please do not plan travel or flights before 3:00 pm. The program includes both classroom sessions and backcountry travel and camping. While in class, students will attend sessions from 8:00 am – 6:00 pm with breaks for meals. Instruction includes lecture based class sessions as well as a wide variety of hands on scenarios. The scenarios are created to be interactive and realistic and may run for several hours and throughout the night to introduce students to the world of backcountry rescue. During backcountry sections, students will be backpacking and camping while studying wilderness medicine, outdoor leadership and high angle rescue. Meals are cooked in small groups on camp stoves while camping in the beautiful Bob Marshall Wilderness of Montana. Based in Missoula, Montana, Aerie provides wilderness and rural medical training and first aid supplies to over 2,500 students a year throughout the United States, Mexico, Central America, and India. They design all Aerie courses with the understanding that individuals learn best when they are engaged in challenging, realistic scenarios led by professional educators who are leaders in the medical and rescue fields. With this philosophy, they train their students for difficult conditions and long-term patient care, where resources are limited and access to outside care is minimal. This is the first course I digested rather than just memorized my way through. You both made it realistic and not just another text-book drill. Fantastic, very informative, and had a sense of humor that made this class the best I've ever attended. Great instructor... Very knowledgeable and answered our questions easily and kept the information easy to understand. She kept all of us interested, on the edge of our seats, and eager to learn more. Please refrain from making travel arrangements until you've received confirmation from Aerie Backcountry Medicine. Is this course guaranteed to run? Please note that there is a minimum number of participants guaranteed in order for the course to run. While it's unlikely the minimum will not be reached, please refrain from making travel arrangements until you've received confirmation from Aerie Backcountry Medicine. Plan to fly into Missoula, Montana. Aerie staff is available to provide transportation to and from the airport at no additional cost. Will I have time off during the program for personal travel or recreation? Very little. You should plan time before or after the program for personal travel. During the first half of the summer semester, students will have most weekends free; however, at least one of these 4 weekends will need to be spent in Missoula on your ambulance and emergency room shifts (each twelve hours long) and the final weekend will be spent preparing for the National Registry practical exam. During the second half of the summer semester, students will be in the backcountry for four consecutive weeks with only brief periods off to resupply and move base camp. Students will be in a tight-knit community living situation throughout the program. Accommodations will be a mix of university dorms, cabins, and backcountry camping. For the camping portions, students will share tents and all cooking and cleaning responsibilities. The food varies according to the location, but will consist of typical backcountry fare. It will be simple and plentiful but absolutely not gourmet. Aerie can accommodate most dietary restrictions with enough pre-planning. Students will often cook for themselves and/or the entire group. Will there be tests and homework? Yes. Homework is assigned each night and initially may include up to 100 pages of reading per night. At least two written exams are given each week in addition to a weekly practical exam. What does the online coursework consist of? Because of the heavy reading load in the National Registry EMT text, Aerie assigns two chapters of reading and associated online quizzes during each of the three weeks preceding the start of each semester. Students can complete this work wherever they happen to be, as long as they have internet access to submit their quiz answers. Grades for these quizzes count towards the final score in the Emergency Medical Technician and Incident Management course. What are Aerie’s academic expectations? High. Aerie’s course policies outline their academic expectations. You'll be given a handbook outlining their course policies once you've been accepted into the semester. Students must receive passing grades on weekly exams to be eligible to test for the National Registry final exam; this is not an Aerie policy – it is a National Registry policy. Poor grades may result in expulsion from the program and may result in not being able to test for, or receive, your National Registry EMT certification. Do I need to be enrolled in college to participate in the semester? No, participants do not need to be university students to enroll. However, they may need to be enrolled to receive federal financial aid and university sponsored health insurance. How long do the certifications last, who issues them, and what are the recertification requirements? What types of jobs and/or further opportunities can I get with the experiences and certifications the semester offers? The certifications and experiences during the semester are unique, professional-level, and rewarding, designed specifically for the highly competitive professional outdoor and medical/ nursing/ PA ambitions of their students. 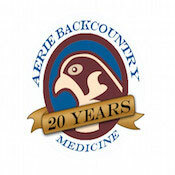 Please contact Aerie Backcountry Medicine for a list that shows where previous students have used their certifications, but please remember that there are no guarantees that any organization or school is going to hire or admit you based on a certification or transcript. Are there any prerequisites for the semester? Students must be ready for an intense, challenging experience, but there are no specific academic prerequisites. Many of Aerie's best students have had no previous medical training. Students must be 18 years of age. In addition, to test for and receive National Registry EMT certification, students must have a high school diploma/ GED and have no current felony convictions. Otherwise, students are expected to arrive with a solid work ethic, open mind, and positive attitude. Students should plan to budget $200 - $300. The amount of spending money you may need is hard to predict, however you'll want money for laundry, snacks, or a meal out and for days when you travel to town for your emergency room and ambulance shifts. What gear/equipment do I need to bring? You'll need various classroom supplies, clothing, first aid kit, and camping gear. Aerie Backcountry Medicine will provide a detailed packing and equipment list with your confirmation email and pre-course paperwork. Travel insurance is not required for this program, however Aerie Backcountry Medicine does recommend having good health insurance for the duration of the program. If you choose to purchase travel insurance, it allows you to seek reimbursement if you are forced to cancel your trip for unforeseeable reasons, or if you need to cover medical help, emergency transport, and/or theft or accidental damage while traveling. For travel insurance, we recommend World Nomads. Book confidently with Free Cancellations within 72 hours of booking. After 72 hours, cancellation fees will apply. Cancellations are subject to the full discretion of Aerie Backcountry Medicine. For more information on our Travel Cancellation Policy please Click Here.